It's not too late to enter our August 2018 monthly giveaway! 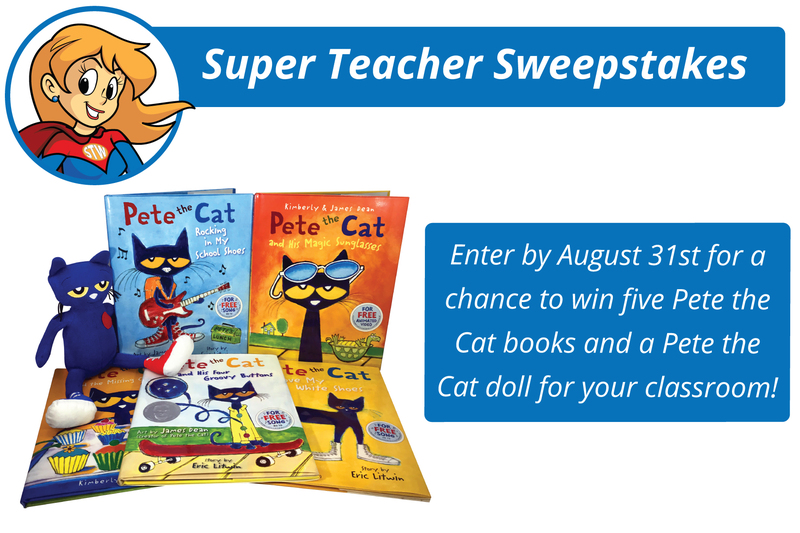 Put your name in the drawing and you could be the lucky winner of five Pete the Cat books by Eric Litwin, plus a Pete the Cat plush doll. Our contests are always free to enter, so why not go to our contest page today? Good luck!